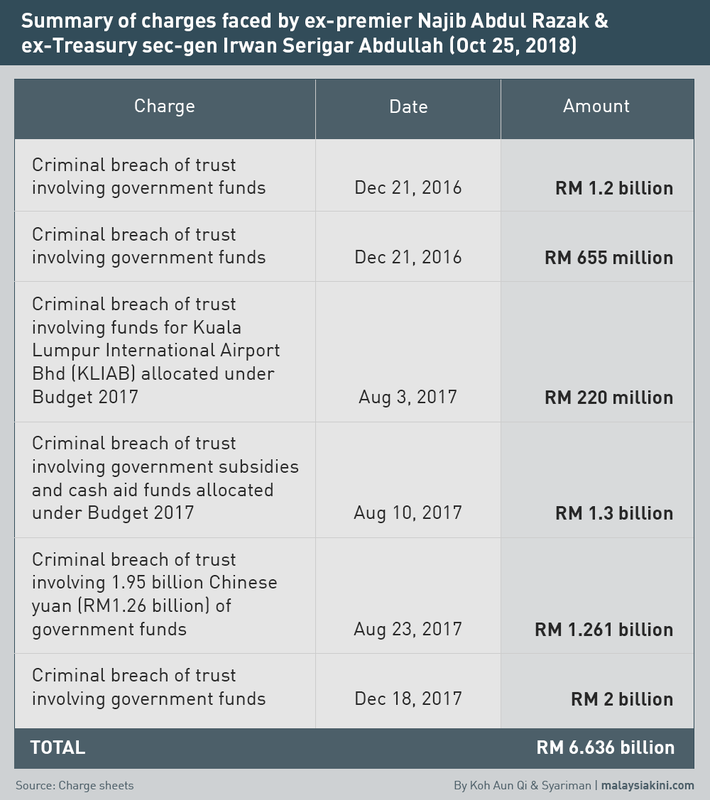 A total of 138 witnesses have been listed by the prosecution team for the criminal breach of trust (CBT) cases involving former premier Najib Abdul Razak and former Treasury secretary-general Irwan Serigar Abdullah. Both Najib and Irwan were jointly charged with regard to misappropriation of more than RM6.6 billion in funds belonging to the government. The list of witnesses was presented during the first case management at the Kuala Lumpur High Court today before Judge Mohd Nazlan Mohd Ghazali, who fixed the trial from July 8 until Aug 22. Speaking to the media later, deputy public prosecutor Jamil Aripin said that only half of the number of witnesses are expected to be summoned to court. “We have listed 138 witnesses but not all of them will be called. We expect to call about 70 of them and the balance will be called according to the situation,” the DPP said. Jamil said he also informed the judge that the prosecution had served about 80 percent of the documents to the defence team. “At this stage, we have surrendered 80 percent of the documents and we undertake to serve the balance to the defence team the rest by Feb 15. “We need time because some documents are classified under the Official Secret Act (OSA). We need more time for the declassification process,” he said. During the proceeding, Najib and Irwan maintained their not-guilty stance and claimed trial to all charges that were re-read to them. Meanwhile, Najib’s lead counsel Muhammad Shafee Abdullah said the defence team would file an application to recuse Justice Mohd Nazlan as the judge would also be hearing Najib’s CBT and power abuse cases involving SRC International Sdn Bhd. 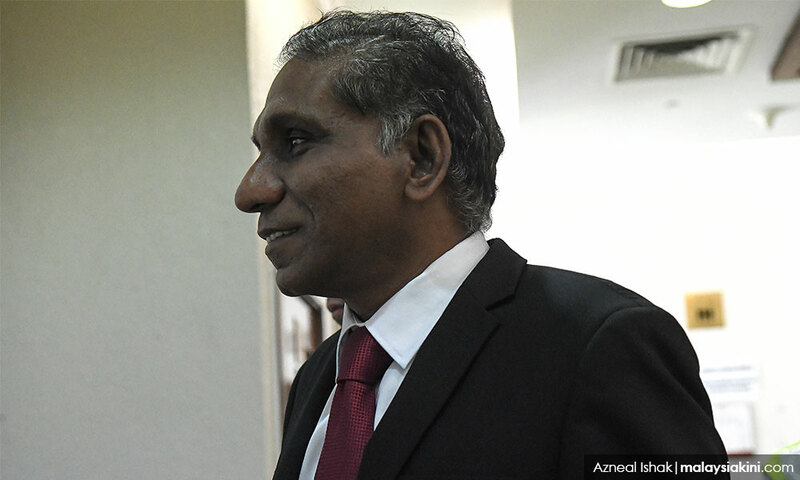 Irwan’s counsel Geethan Ram adopted Shafee’s submission in the transfer application. 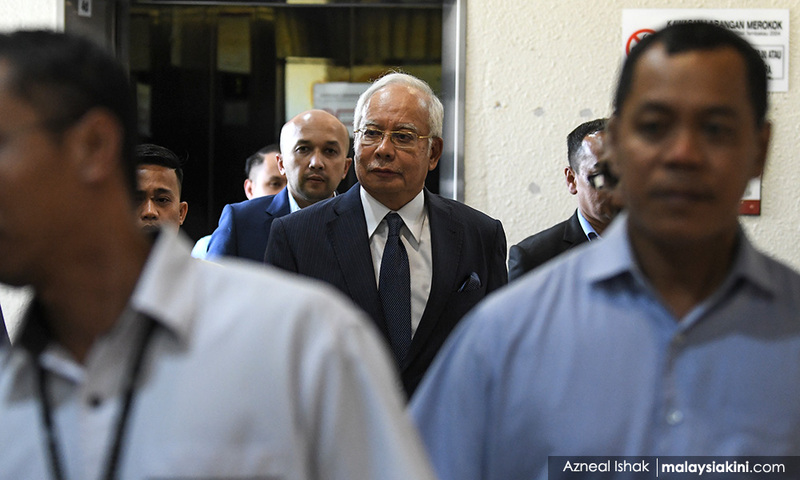 In October, Najib, 65, and Irwan, 61, were jointly charged at the Sessions Court with six counts of criminal breach of trust (CBT) involving RM6,636,065,000 of funds belonging to the government. The duo was alleged to have committed all the offences at the Finance Ministry Complex in Putrajaya between Dec 21, 2016, and Dec 18, 2017. They were charged under Section 409 of the Penal Code, read together with Section 34 of the same code, which provides for a maximum jail term of 20 years, whipping, and a fine, if found guilty. However, the law exempts those over the age of 50 from being whipped.